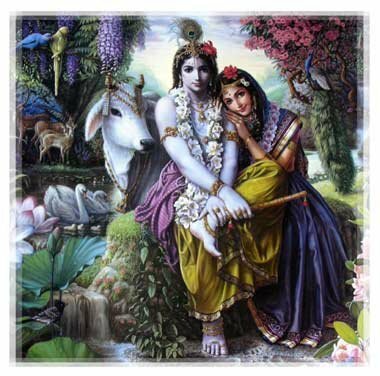 Among the cowgirls (Gopis) of the glade of Vrindavan, there was one really special -Radha, Krishna’s beloved. Their love affair is now part of Indian legend and mythology, inspiring poetry, song, literature and even devotional hymns and prayer. Krishna went away to become a king leaving all the village maidens, especially Radha love-lorn. 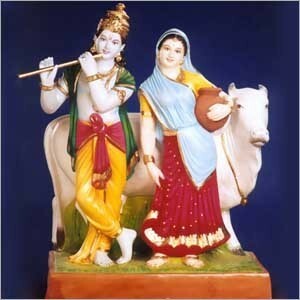 Krishna never married Radha, yet their love was so special that in all temples where there are statues of Krishna, they are invariably with Radha beside him. She is considered the embodiment of female energy (Shakti) and love and prayers offered to Krishna alone are considered inauspicious. One is only blessed when they are worshipped together. On the astrological day deemed to be the birth day of Krishna, at the celebrations at temples devotees open the chanting with fervent calls to Radha to grace the occasion before the chanting of Krishna’s name.-the worshippers tribute to her eternal love. English prof – as i do not know your name – thanks for the magnificent compliment – it is amazing that from where i do not know – more than a 1000 have already visited this post which i turned therefore into a page – which is almost a tenth of all visits to my blog!